Komodo National Park will remain open throughout the year, according to a statement from the Ministry of Environment and Forestry issued earlier this week, dispelling widely circulated rumours that the park will soon be closed. East Nusa Tenggara governor Viktor Laiskodat recently made a statement that the regional government planned to close down the park for one year for conservation. Stressing that such decisions fall under the jurisdiction of the central government, Siti Nurbaya, Indonesia minister for environment and forestry (LHK), said the ministry had no plan to close Komodo National Park. “The regional government needs to consult with, and (the plan needs to be) in accordance with the portfolio of the Directorate General of Conservation of Natural Resources and Ecosystem,” she said. However, the regional government’s intention to close the national park has taken a hit on the tourism industry sector. Some travel companies have reported receiving cancellations due to the governor’s statement. Donatur Matur, caretaker of the chairman of the Association of the Indonesian Tours and Travel Agencies (ASITA) West Manggarai Regency, said: “We have received emails and Whatsapp messages in relation with the plan to close Komodo. 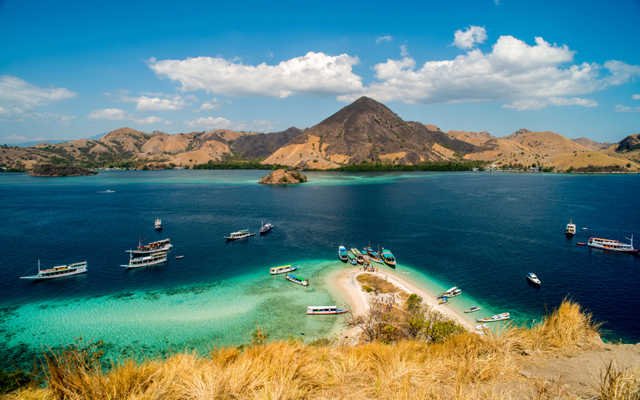 Many international travellers have cancelled their plans to visit Komodo National Park.